If you're at a loose end why not take a boat cruise around Stockholm? 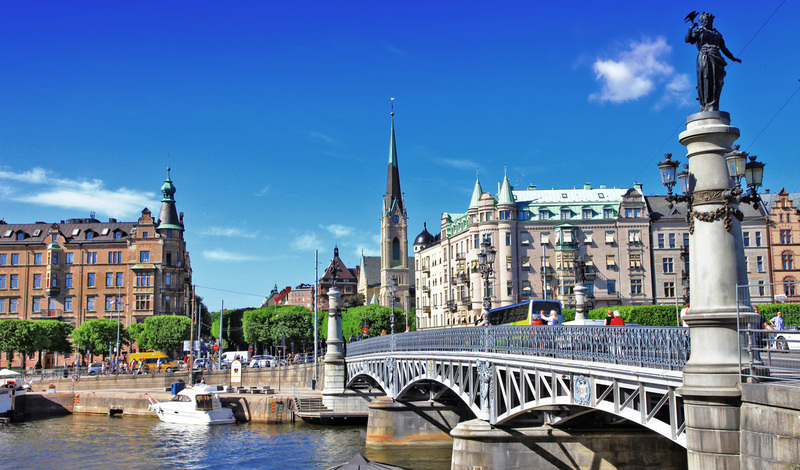 Explore Stockholm from every angle on this exciting luxury Swedish holiday. From rooftop tours to chilled-out café hopping to hot air balloon rides over the city, this trip will introduce you to a side of Stockholm you’ll never have seen before. With the help of some of our favourite fashion label,s we’ve unearthed a few hidden gems so you can really experience this vibrant city as the locals do. After touching down in this effortlessly sleek city, you’ll be picked up and driven into the heart of the Sodermalm district. Within the historic cobbled streets lies the charming Rival Hotel which will act as your base for the next three nights. The Rival Hotel really is the place to be if you’re a lover of Swedish culture as it is owned by none other than ABBA’s Benny Andersson. Mamma Mia. Feeling peckish? Leave your bags in your luxurious lodgings, don some practical footwear and head out on a city walking tour designed with you gourmet enthusiasts and art aficionados in mind. The city has developed its culinary credentials over the years with innovative and daring flair. With more than 20 establishments opening since last summer, new additions include Ekstedt where all the dishes (including the desserts) are cooked over an open fire. Once fed and watered we recommend checking out the city’s thriving arts scene, where everything from intimate galleries to large exhibition spaces showcases the best of local and international art. For up and coming Swedish talent head to the SoFo district (South of Folkungagatan), where you can find a laidback boho buzz and the Art Concept Store; an artist-run gallery in Stockholm for young, emerging artists. Tomorrow you will be seeing Stockholm from a unique perspective, from the rooftops. Not an activity for those with vertigo, after being strapped into your safety equipment you will be taken on a guided rooftop tour where you peer over onto the grandiose historic old town 140ft below. Walk along the secured metal track that runs the perimeter of the rooftops and take in the 360-degree view of Stockholm in this intrepid, visual tour of the city. After this exhilarating experience, make for the Rival’s classic Scandinavian Bistro for some supper. Once full to the brim with delicious Scandi delicacies it’s time to grab a drink and chill out, literally, at the Ice Bar Stockholm, where all the furnishings (including the glasses) are made from pure crystal-clear ice from the Torne River in Lapland. With a host of designers and forward-thinking fashionistas hailing from this uber-hip capital, it’s no surprise that Stockholm is a trend-setter’s haven. Luckily we’ve got the inside knowledge on where to go to see Stockholm just the way the locals experience it. The iconic Swedish designers Cheap Monday recommend visiting the fashionable Sodermalm district in downtown Stockholm and home to Swedish classics Acne, Monki, Weekday and Fifth Avenue Shoe Repair to pick up some one of kind pieces. For an eclectic mix, Filippa K designers love Nitty Gritty, a store which houses an eclectic mix of brands – including those from well-known designers and emerging talents. If all that shopping works up an appetite then do as the Acne team do and head to Urban Deli, an upmarket deli that is the perfect pit stop for a coffee and cinnamon bun or ‘Fika’ as the locals call it. For a real hidden treasure make sure to check out Svensk Tenn, an exclusive interiors store in central Stockholm. A favourite hangout of the head of design at Filippa K, the store has a unique mix of timeless design and artistry, as well as a quaint tea salon offering afternoon tea and petit fours. After a day exploring Stockholm on your feet, you will move on to The Lydmar Hotel which prides itself on being one of the hippest places in town. You will stay here for the final two nights of your Scandinavian city getaway and can while away the hours admiring its unique artwork and mismatched furniture which attracts artists from far and wide. Delight in spending a leisurely morning sampling the breakfast menu before getting pampered, Scandi style, with a day spent rejuvenating body and mind. Head to the Grand Hotel where you can soothe those aching muscles in an authentic Nordic spa. After your treatment make sure you stick around to try the infamous Smorgasbord. Surely the only way to follow up such an indulgent day is to make your evening even more extravagant, perhaps by dining at a Nobel Banquet? Thankfully you don’t need a formal invitation to this gourmet feast as the restaurant at the architecturally astounding Stockholm City Hall (Stadshuskällaren) serves up almost all the dishes that were part of the Nobel menus dating back to 1901, all year round. After such a stately day, falling into your sumptuous bed and into a deep sleep shouldn’t be much of a problem. Up bright and early and inspired by your rooftop tour, take to the skies for real in a hot air balloon ride over the city. From your basket, you’ll have a unique panoramic view over the rooftops, waterways and lush parks of Stockholm as you gracefully soar through the air, glass of bubbly in hand. 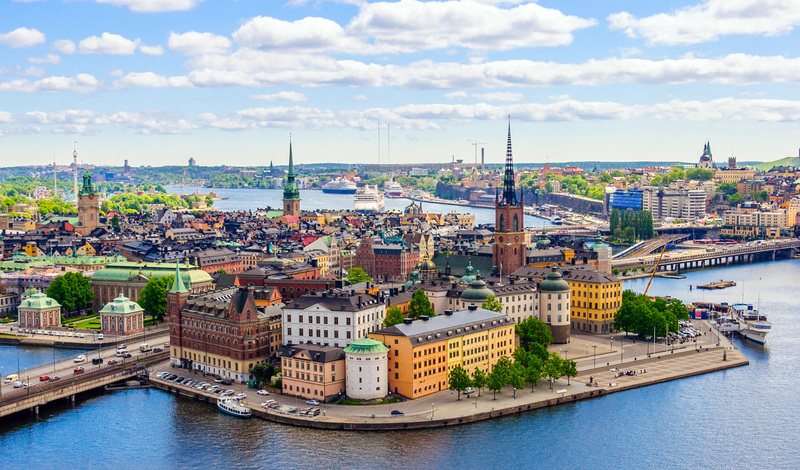 Back down to Earth, you will explore Stockholm on street level in a private tour of the historic city centre as well as the vibrant café culture and bohemian fashion-forward crowd that occupies much of the Södermalm district. Take a stroll around this particular vicinity and you’ll be spoilt for choice with countless vintage shops and fashionable boutiques lining the streets. Rest your feet (and your credit card) in one of the district’s many cafes and enjoy a cappuccino whilst watching the creative crowd breeze by, before making your way back to the Lydmar for your final night in this charming city.